November 1, 2014  The milestone inspired a Hello Kitty Con in Los Angeles this week. 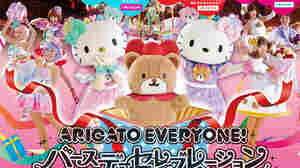 But the largest fete was in Tokyo, where parent company Sanrio put on a parade and other events. 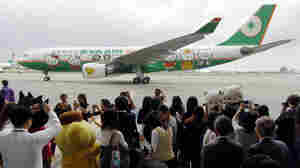 Hello Kitty Themed Planes Are Coming To The U.S.
August 28, 2013  That means feline-themed pillows, headrests, snack bags and luggage tags.